First off we have a new track in the game, made by samuncle. Yay! It's named Blackhill Mansion, and will most likely replace Crescent Crossing in the upcoming 0.8 release. The track makes use of the recent addition of lightmap support to the game, which gives it the dark atmosphere combined with "glowing" (not really, but faked) lamps and other decorative lighting. 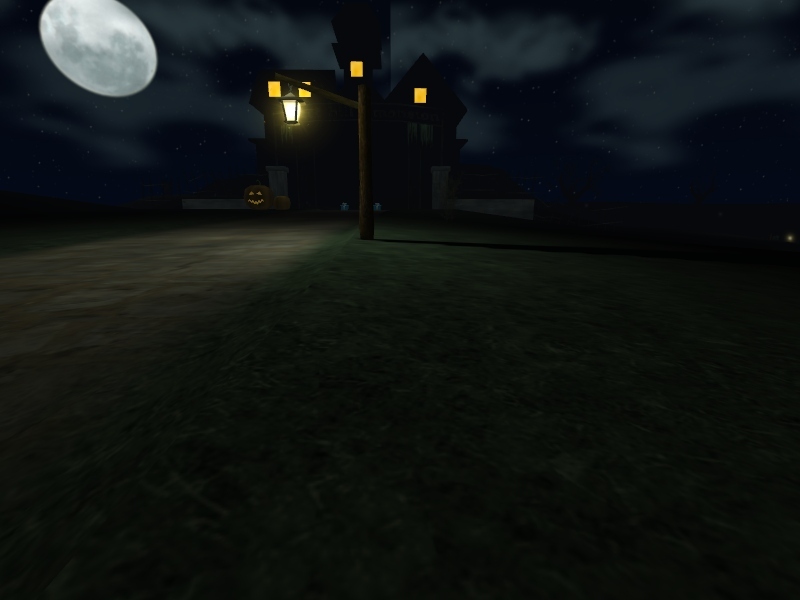 It makes for an eerily fun drive into the mansion and out to the graveyard nearby. 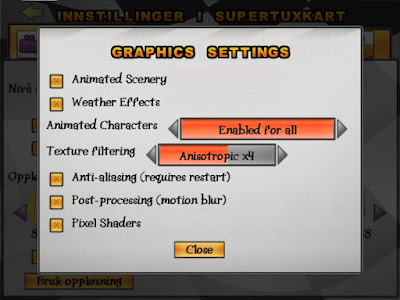 Also adding to samuncle's impressive list of contributions, we have a new menu design for the main menu. It's been in the development version for a while, but as usual I wait for the dust to settle down a bit, and then forget to mention it once no major changes seem to be underway. Oh well. Hope you like it anyway. 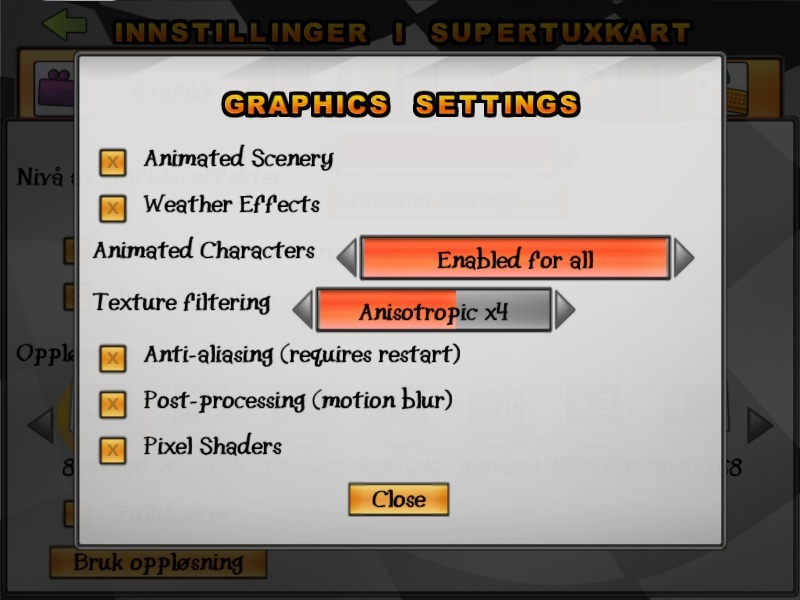 Then there's another nice feature: advanced graphics settings, so you can turn on and off graphics options individually as you please. Or if you're unsure what those means, you can still use the slider (or do a web search and get more knowledgeable). This has been a much requested feature, so we hope people will enjoy the extra choice. A couple other interesting things to mention: Ghost races, i.e. the ability to drive against a "replay" of yourself is under development, but since it's originally scheduled for 0.8.1 it might not be ready in time for 0.8. You can already do ghost races from the terminal, but the GUI and possibly more minor tweaks are still left to do. So whether it will be ready for regular players for 0.8 is still left to see. The other interesting thing is the ability to drive tracks in reverse. Thanks to MCMic (and to Wardje for differentiating the highscores). Not all tracks are working well in reverse, but work is underway to get all standard tracks more reverse-compatible. The problematic tracks are listed here, and if you're a modeler and would like to help us fix the tracks we'd be much obliged. Some tracks have currently gotten the reverse option disabled because they are not possible at all to finish in reverse mode, so they should get highest priority. For add-ons all tracks will be assumed as reverse-compatible by default, unless otherwise specified in the track properties. I just want to ask - when (approximately) will be players able to play against each other via a masterserver (online network games)? It's not planned until 0.9 , but if someone were to come along and write things, then the contribution would be welcomed no doubt. I'm just wondering... are there plans to cut off Mac PPC support? I don't want to be waiting around in anticipation only to find out in summer that the damn thing is now Intel-only. 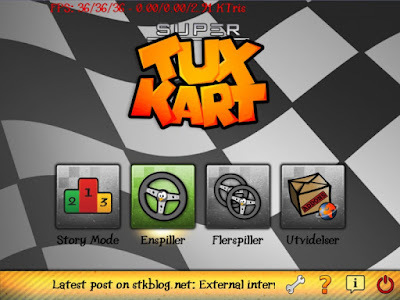 When first unstable release of STK 0.8? why is Hacienda disabled for reverse mode? The only thing I can think of is the side ramp thing right at the start(normal way)... that is the single largest source of nitro, and without it, it could be quite a bit slower. The blackhill track is beautiful, but I can hardly see it!